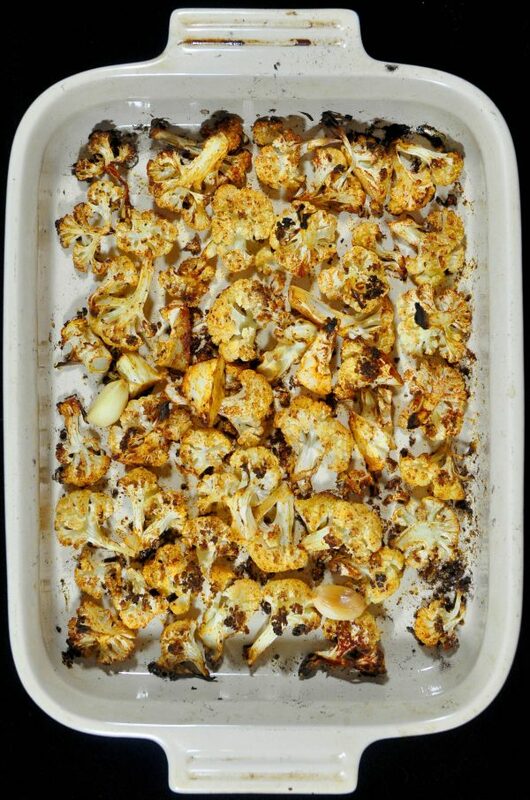 Roasted veggies are always delicious, but there’s something magical that happens to cauliflower in the oven. 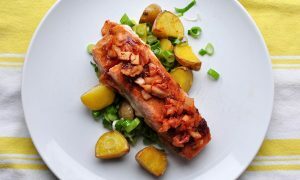 It gets so crispy and nutty, and that flavor is brought out even more with the spices here. 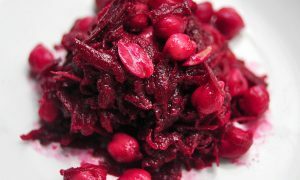 If you are on the fence about cauliflower, try it prepared this way and you’ll become a believer. I’m happy to just eat a bowl of the cauliflower for dinner, but when I feel like making a truly proper meal out of it I nestle the cauliflower into tacos. The crunchy bits, spices and the meatiness of the cauliflower texture make these really satisfying. 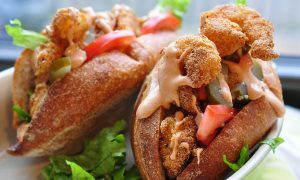 I have made these for large crowds and always get good reviews from young and old, vegetarian and non-vegetarian alike. 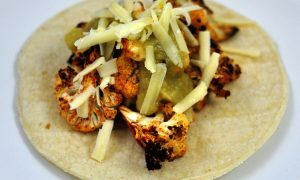 Smoky, spicy and satisfying vegetarian tacos made with roasted cauliflower and topped with cheese and salsa. Turn the oven to 400 °F. In a medium-sized roasting pan, arrange the cauliflower pieces and the unpeeled cloves of garlic. Pour the butter over the cauliflower and then sprinkle the spices over top. Use your hands to thoroughly coat the cauliflower with butter and spices. Bake for 45 minutes to 1 hour, depending on how crispy you like the florets. Squeeze the roasted garlic throughout and trash the skins. On medium high heat warm up the tortillas one or two at a time until light brown spots appear on both sides and they are pliable and just a little bit crispy. 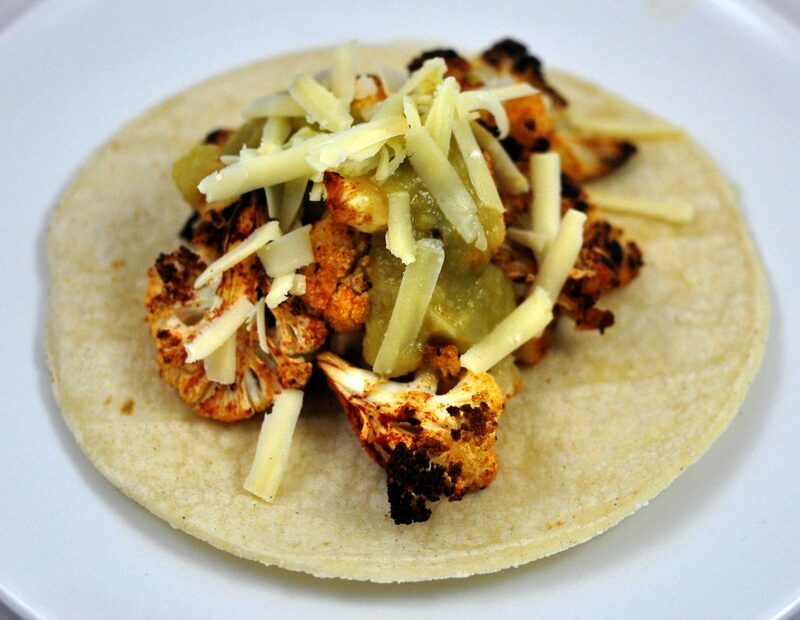 Place two to three tortillas on each plate and fill with a generous serving of cauliflower. 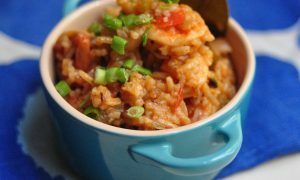 Sprinkle the grated cheese over top and drizzle with salsa or sauce of your choice.